Dr. Beverly Warren became Kent State University’s 12th president on July 1, 2014. As the university’s chief executive officer, Dr. Warren oversees one of the nation’s largest university systems. Kent State’s eight campuses provide more than 300 academic programs to about 42,000 undergraduate and graduate students from throughout Ohio and the nation, and from approximately 100 countries. One of the largest employers in Northeast Ohio, the university employs more than 5,700 full- and part-time faculty and staff. Prior to coming to Kent State, Dr. Warren had served as provost and senior vice president at Virginia Commonwealth University (VCU) since 2011. She arrived at VCU in 2000 as a professor and head of the School of Education’s Division of Health, Physical Education and Recreation, and went on to serve as dean of the School of Education. Before joining VCU, Dr. Warren held faculty positions at Smith College in Massachusetts; Auburn University in Alabama; Appalachian State University in North Carolina; and Lander University in South Carolina. Dr. Warren is an internationally respected and widely published scholar in the fields of education and exercise physiology. Her most recent research focused on urban education, including access and success for urban youth, the preparation of teachers for urban environments and coordination of education through P-20 initiatives. She is a Fellow of the American College of Sports Medicine and the Research Consortium of the American Alliance for Health, Physical Education, Recreation and Dance. 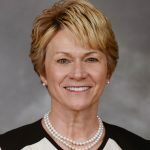 She was elected to the Board of Trustees of the American College of Sports Medicine in 2004 and is a former president of its Southeast Chapter. A North Carolina native, Dr. Warren earned a Bachelor of Science degree from the University of North Carolina at Greensboro and a Master of Science degree from Southern Illinois University. She holds two doctorates, an Ed.D. in administration of higher education from the University of Alabama and a Ph.D. in exercise physiology from Auburn University. Kent State University is ranked among the nation’s Top 74 public high-research universities by the Carnegie Foundation for the Advancement of Teaching and was named one of the Top Universities in the World by Times Higher Education, London. With eight campuses spanning Northeast Ohio, a College of Podiatric Medicine, a regional academic center, and academic sites in major capitals such as New York City, Geneva and Florence, Kent State is Ohio’s second-largest university, Northeast Ohio’s leading public university and a major educational, economic and cultural resource far beyond the region it has served since 1910. The university is the largest producer of college graduates in Northeast Ohio and has a worldwide alumni body exceeding 214,000. Kent State is in the midst of a historic initiative to modernize existing facilities and add 21st-century buildings that will serve students for decades to come.